Hi all! Today's post is all about the Avery Elle Challenge. This will be my first time playing with them. They are quickly becoming one of my favorite stamp companies. All of their images are wonderful, and versatile, and the stamps are excellent quality. I wanted to participate in the challenge for a chance to possibly become the April Guest Designer! How cool would that be!! The challenge is to create a project from this photo. And, here is my take on this photo. 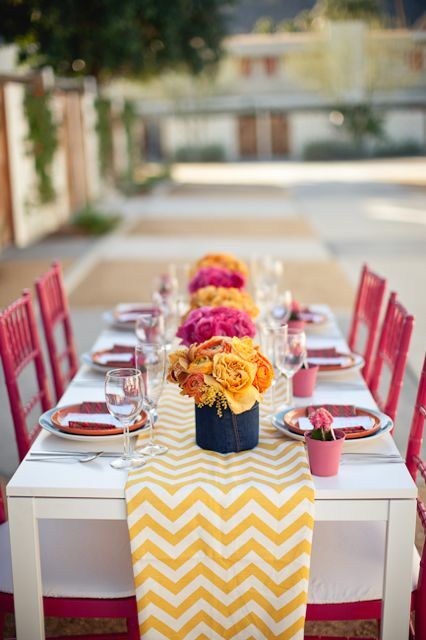 There are so many wonderful colors and patterns to take from this photo. Of course, what jumps out at you is the yellow chevron! 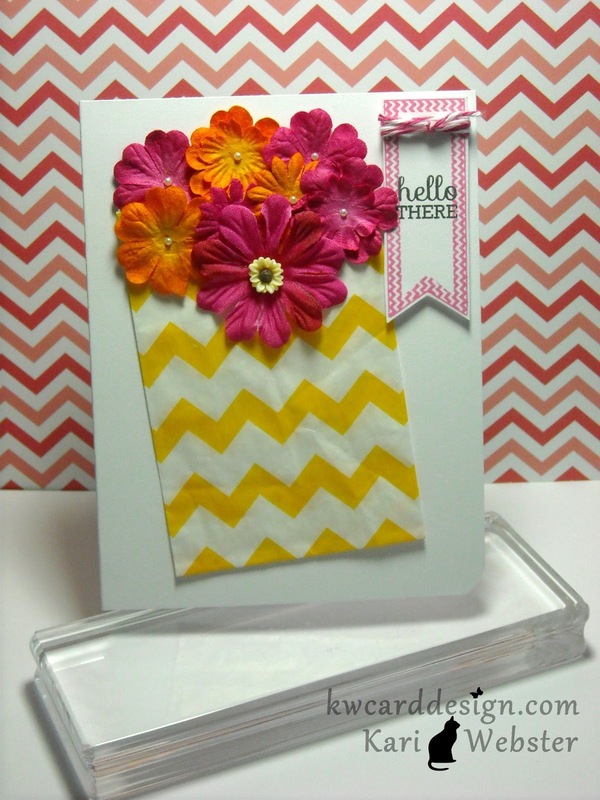 Chevron is my favorite!! Instead of stamping out a chevron background, I wanted to mix it up a bit, and knew I had a chevron bag from Whiskers Graphics in my stash, and it happened to be yellow!! I adhered the bag to my white card base, and then took out my stash of paper flowers and picked out some orange, and dark pink ones and adhered them to look like a had a "bunch" of flowers coming out of my bag. To finish off the flowers, I added some small pearls to the middle of the flowers. 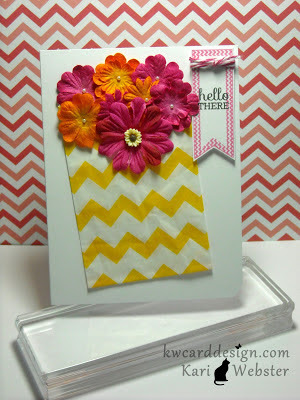 For my sentiment, I stamped out the chevron banner tag in Rose Bud Memento ink from To The Point stamp set, and stamped out the "hello there" sentiment from the same stamp set - I cut out my banner tag, and then added some pink bakers twine and adhered to my card base with foam adhesive. It was fun participating in this challenge! I hope to do it again in the next one!! Have a great rest of the weekend! 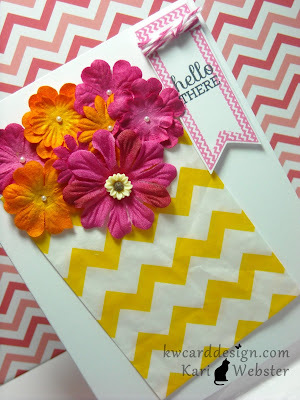 Kari- Your flowers popping out of the chevron bag are so sweet!! Very cute. ohhhh, love how you used the bag! I love bags but get stuck beyond just using it as a holder. Love the flowers too. So pretty! Thanks, Melissa! That means a lot! Super duper cute, Kari! 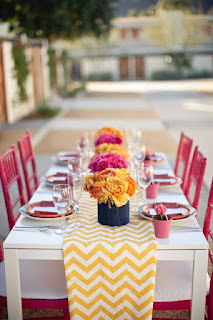 Love the fun bright colors. I've been missing your videos! Any plans to do one soon?